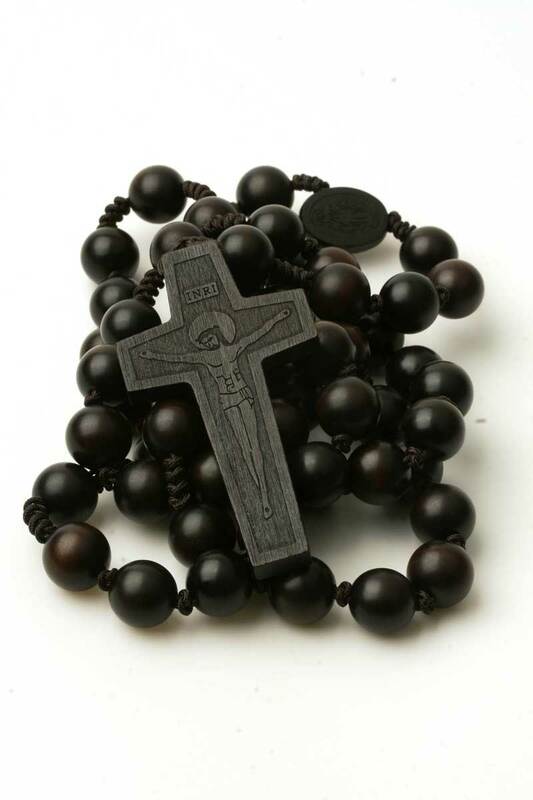 This is a large rosary with 13mm jujube wood round beads strung on a nylon cord. The beads are smooth and have dark chocolate color. 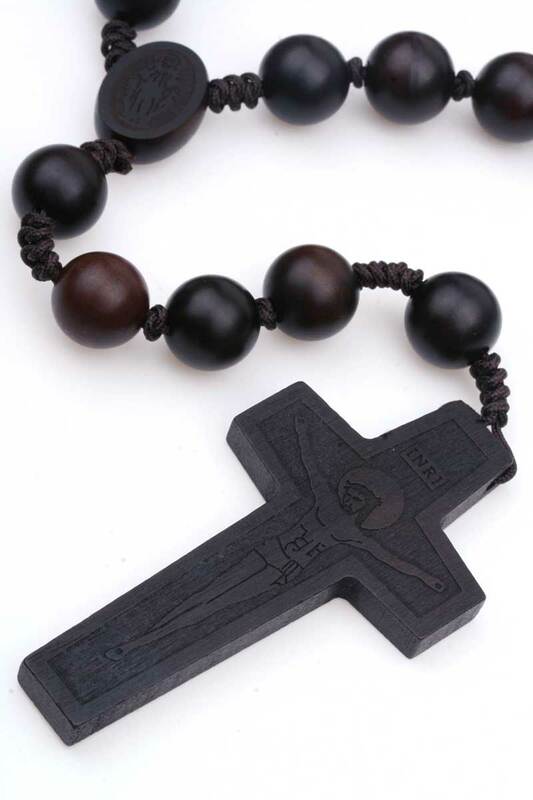 The wooden crucifix is also large measuring 3" in length and 1.5" wide. The figure of Christ is laser etched on one side and holy spirit is on the other. 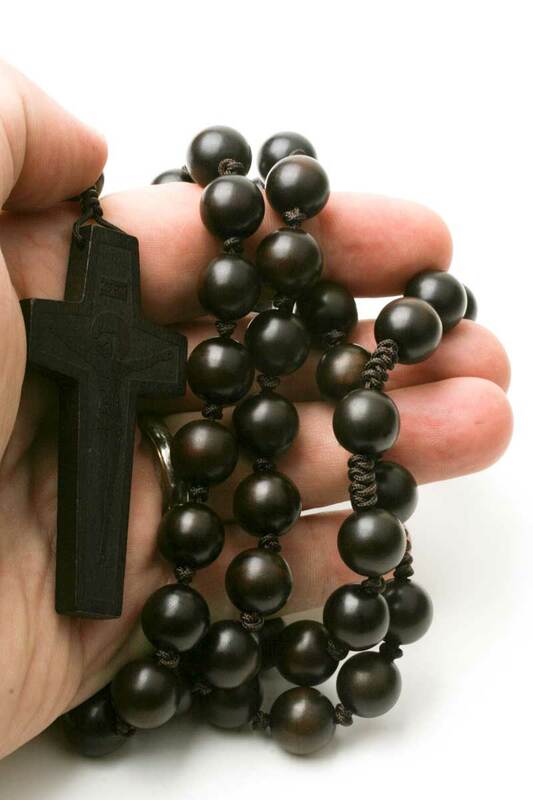 The extra-large beads are perfect for someone who has difficulty saying the rosary with small beads. 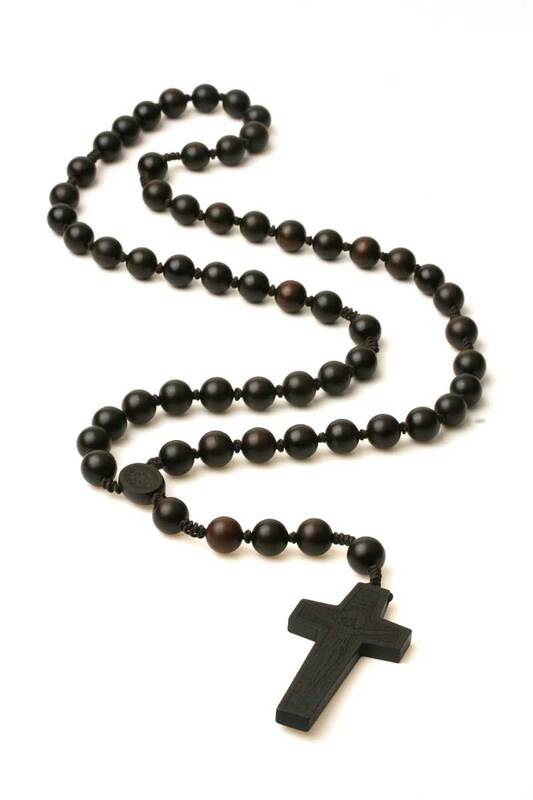 On this rosary, each bead is separated by a knot which makes it easy to move along during a prayer. The Pater and Ave Maria beads are uniform in size. The Paters (Our Father) are separated with 4 knots on each side. The oval center is also made of jujube wood and features Miraculous Medal on one side and 12 Stars with M and T on the other. The crucifix is big yet proportional to the size of this rosary. The construction of this rosary is superb. 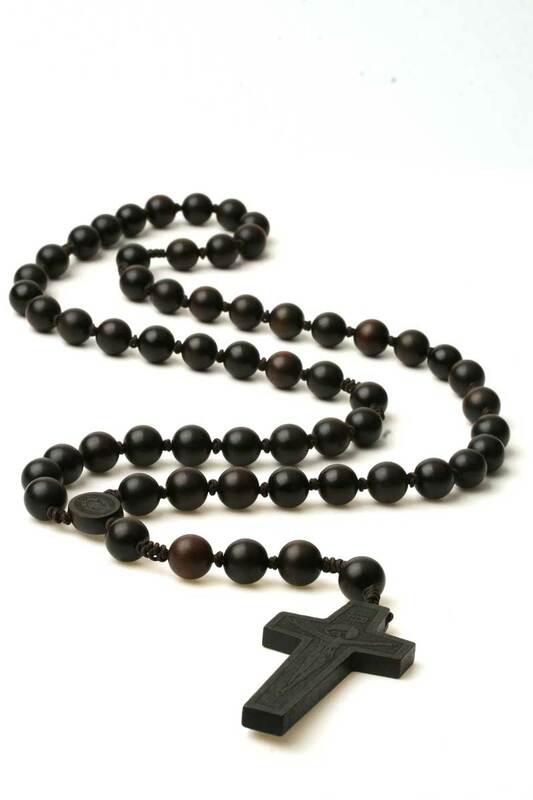 These prayer beads are made for serious praying. Contemplate the Mysteries of the Rosary while praying for your intentions and peace in the world. Overall length (end to end) is 26". No Box.